Discussion in 'Completed Pin Sales' started by timeerkat, Oct 23, 2018. My second-chance pin purchase is still available, since the only pin set I was trying for earlier sold out before I could get it. I am assuming that everyone is covered at this point, but just in case I wanted to offer up my spots. All prices listed below include the pins, all taxes, fees, and shipping to the USA, plus a little extra to help cover the event entry fee. 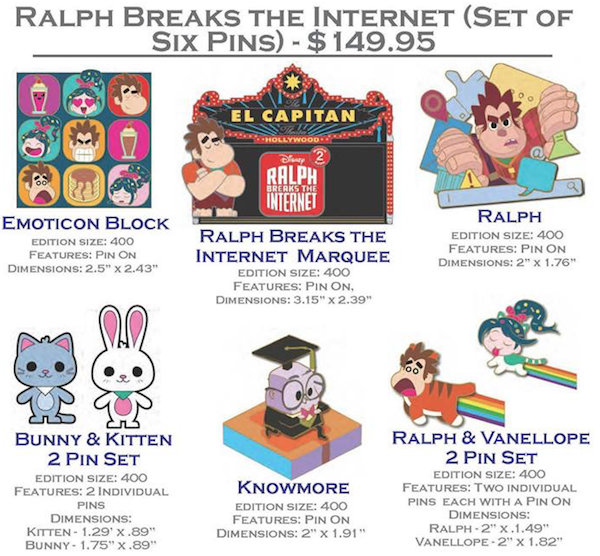 I am offering full sets only at this point, unless multiple people want to split a set and all pins are accounted for. 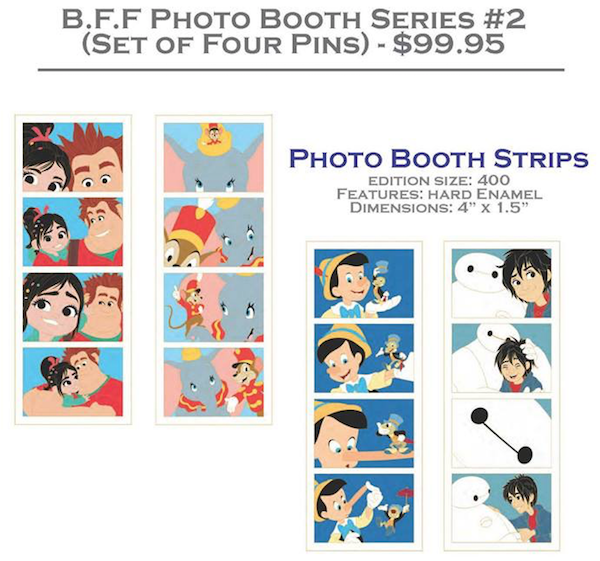 I have three spots open for the WiR 8-pin set and film strip set 2 (Wreck-It Ralph, Dumbo, Pinocchio, Big Hero 6). 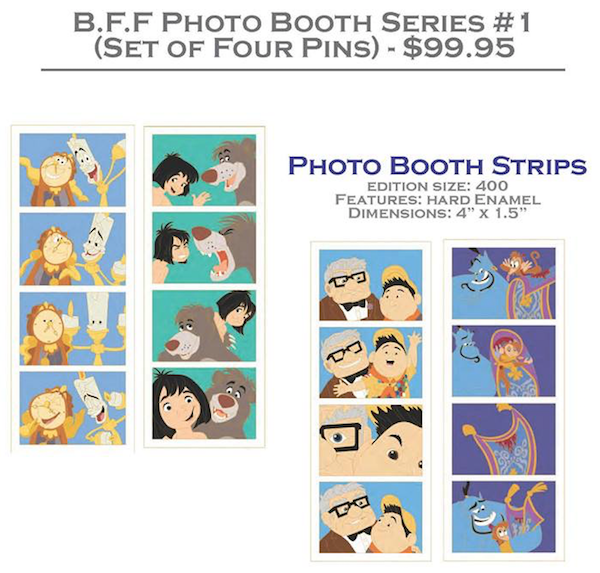 I have two spots open for film strip set 1 (Beauty and the Beast, Jungle Book, Up, Aladdin). Each set of film strips will be $135. The WiR set will be $175. If you buy multiple sets, take $5 off for every set to account for combined shipping. I will leave this offer open until 8pm PST tomorrow (Wednesday, October 24th), at which time I will place the order for whatever is purchased and paid for. If something is sold out, I will send an immediate refund, though I'm guessing that it will all still be available if it hasn't already sold out. So photo set #3 is the only one that sold out?! Yep. I just rechecked the link now and the only thing that is sold out is photo booth set 3. That's what they get for putting Moana and Stitch together. And Zootopia and Lion King! They grouped the four most popular ones into the same package.